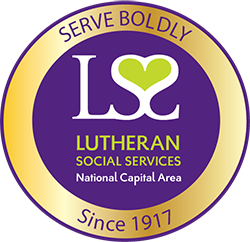 "I serve on the Board of Lutheran Social Services because I have witnessed the work and positive impact the organization is making in the National Capital Area. I believe in their mission to "walk with those in need and mobilize community partners to provide services that offer hope and rebuild lives"; and feel honored to join the organization to share my passion and helping hand to support those in need. As a Christian I want to be accountable to God that I served his people. " Kimberly Williams-Jenkins has a special passion for promoting the care, education and permanency for vulnerable children. She has served as an active foster and adoptive parent with LSS/NCA for the last 7 years and supported over 20 children providing shelter, food, emotional, educational and medical support to help stabilize the children in her care. She has also served as a volunteer on the LSS Foster Parent Support Group where she shared parenting strategies, techniques and words of encouragement to a team of foster parents who were all supporting vulnerable children in the community. She is currently a Senior Advisor and IT Project Manager at the Internal Revenue Service; with 36 years of experience planning, coordinating and implementing IT solutions, leading change and serving as a senior management official in the federal government sector. She is a member of Cornerstone Peaceful Bible Baptist Church in Upper Marlboro, MD and resides in Prince George's County MD with her husband Coleman, son and daughter.